Alicante is the capital of the province of Alicante, in the southern part of the valencian community. It is also a historic Mediterranean port. Impressive castle located on an outcrop overlooking Alicante City. Santa Barbara Castle has everything you would expect, cannons, a palace,dungeons, a moat, the ruins of a small church and of course that famous lookout tower. From all around the walls you get the most fantastic views. Bonfires (Hogueras) are an art show. These street monuments are made of wood, cardboard, mud, paintings and, nowadays, of cork and polyurethane too. 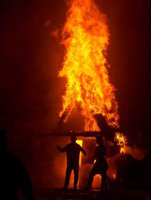 A Bonfire is not only an artistic creation, it is a critique of the social, political and economic situation of the world in general and the city of Alicante. A Bonfire is paid for by contributions by the Bonfire Commission together with donations from residents and shops in different districts. The Monument Competition is the most important contest in the Bonfire events. These monuments are all burned on the 24th in a very beautiful and emotive act called "La cremà" (the burning). 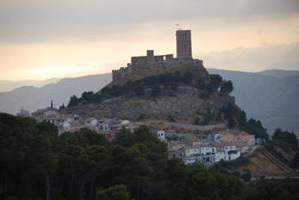 Biar is a beautiful Spanish village rich in historical heritage: Arab castle, the church and chapels, the ancient walls, the sanctuary of the Mare of Deu of Gràcia, the mediaeval aqueduct, etc. 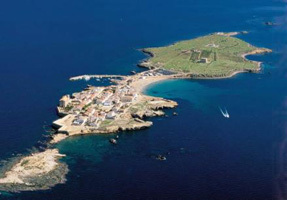 The island of Tabarca is the largest inhabited island in the Valencian Community. Tabarca Island is administratively dependent on the city of Alicante and is, without a doubt, a symbol and tourist reference of the Costa Blanca and the Mediterranean Sea. It is found less than 11 miles south-east of Alicante and Orly three miles from the cape in Santa Pola. With its 1,800 meters long and 400 meters wide, Tabarca offers a real refuge, ideal for a weekend getaway, especially in the off season when you can really enjoy the quietness and the absolute beauty of its landscapes. Guadalest is the most visited town in Spain with more than 2 million visitors a year. It is extremely picturesque located on a shear sided mountain overlooking and providing magnificent views of the river, the dam which forms a lake, the valley of Guadalest and more craggy mountains. 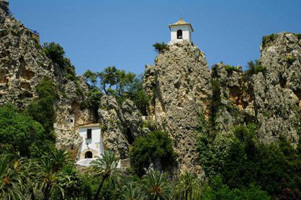 The picturesque Guadalest bell tower perched on a rock pinnacle is now the icon for the Alicante province of Spain and the Costa Blanca. The town has been built in 3 major stages. Altea, one of the most beautiful cities along the Costa Blanca with about 15 000 habitants. About 15km north of Benidorm and just south of Calpe, Altea is one of the few villages which maintained most of the former fishing village flair of the past times. The festival of ‘Moors and Christians’ is a historic tradition where local people reeanact the medieval battles between Christians and Muslims. It represent the capture of the city by the Moors and the subsequent Christian reconquest. The people that take part in the festival are usually enlisted in filaes or comparsas (companies that represent the Christian or Moor legions), and for several days, they parade with bombastic costumes inspired by Medieval fashion. Christians wear fur, metallic helmets and armour, fire loud arquebuses, and ride horses. In contrast, Moors wear ancient Arab costumes, carry scimitars, and ride real camels or elephants. 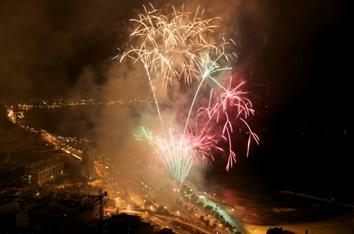 The festival develops among shots of gunpowder, medieval music, and fireworks.